L.I to find the most important (main) idea in a text. 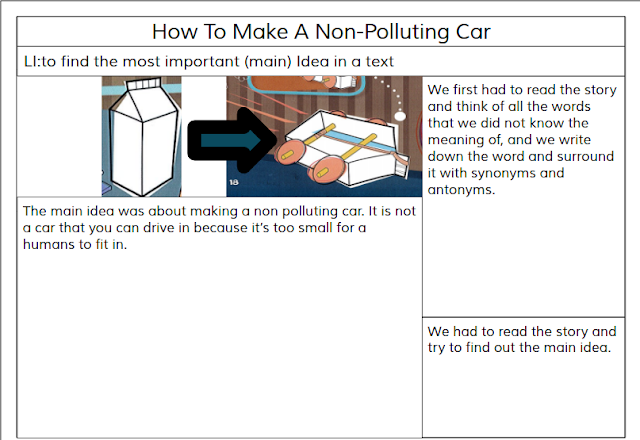 This is a DLO on the text How To Make A Non-Polluting Car. It tells you step by step how to make the car and it is easy to make. We found out that the main idea is how to make a non polluting car because it is what the story is about because it is a procedural story that tells you how to make the car. Labels: reading, to find the most important (main) idea in a text. 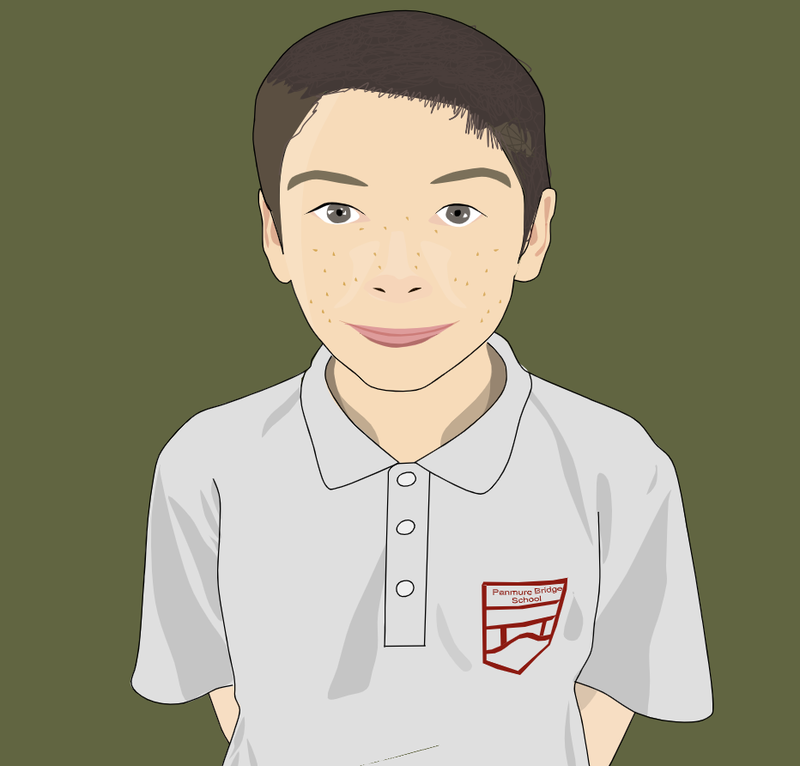 Thanks for your post on your reading task. How did you figure out the main idea of the text?